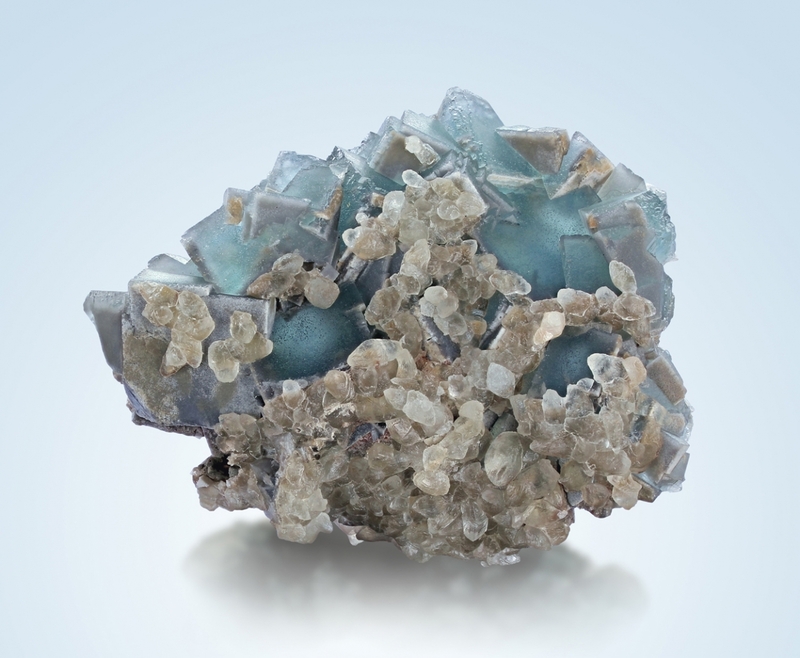 Blue semi-gloss fluorite overgrown with semi-gloss calcites. 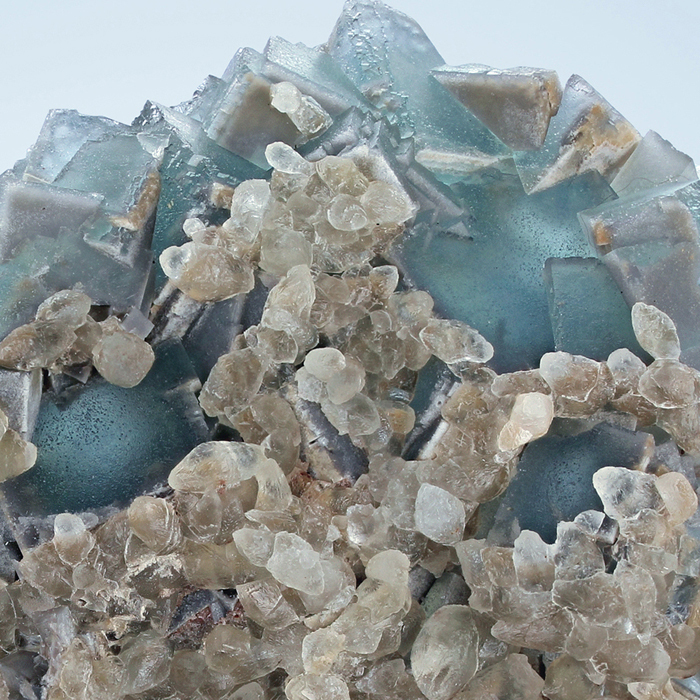 The fluorites show good transparency and light zoning on the edges. 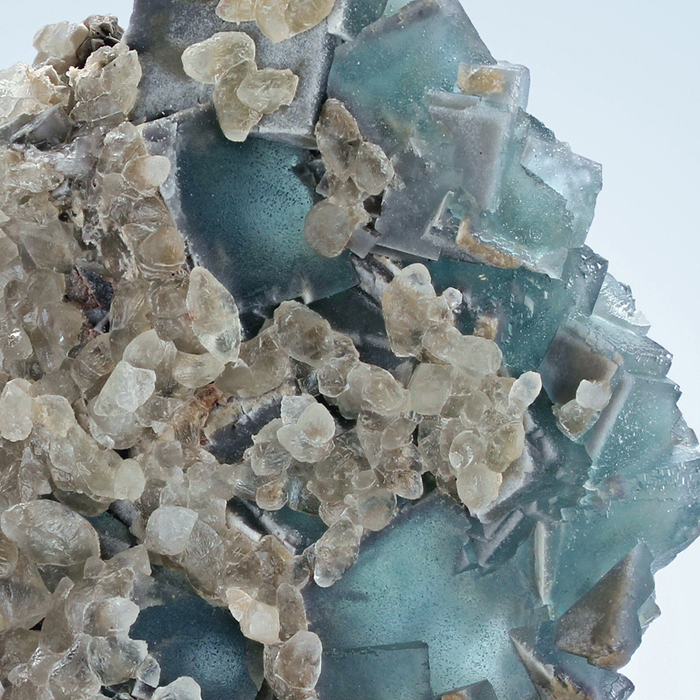 The color of the fluorite changes with different sources of light (Alexandrit Effect). 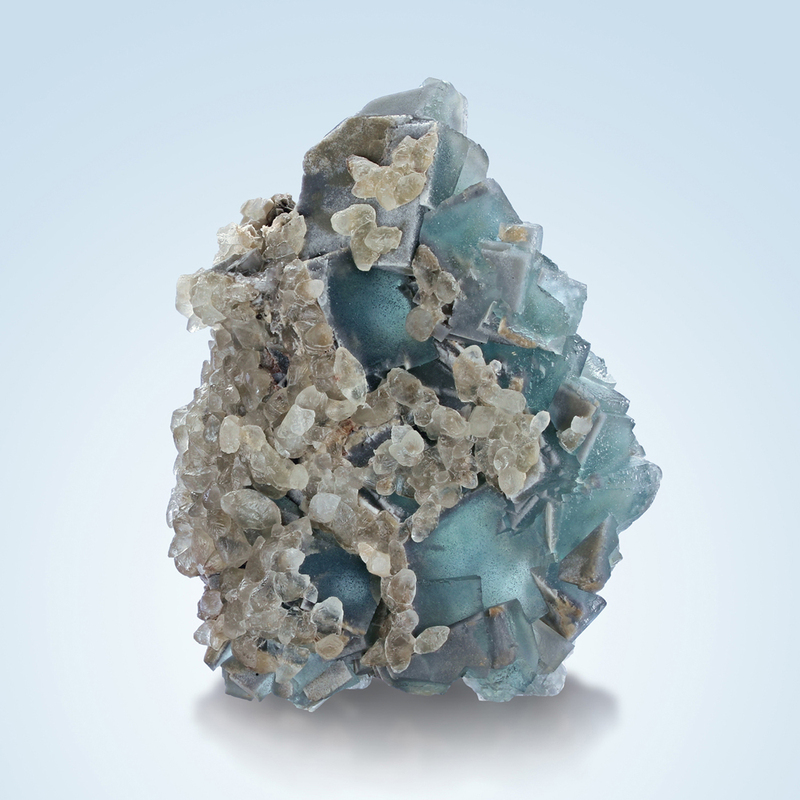 This change in colors is relatively common with fluorites from Weisseck and can be seen as signature feature. The specimen is undamaged, except for the natural breakages on the edge of the specimen. Edge length of up to 2 cm. The photos were done at daylight.